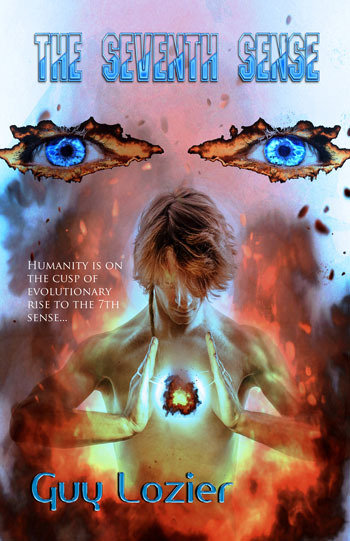 TULSA, Okla. - Feb. 9, 2018 - PRLog -- Guy Lozier, an Oklahoma Author, recently released a book called The Seventh Sense. The story he tells points to an individual which experienced extraordinary events. Within the story, this individual presents tools which appear to actually have an effect when people apply them to their lives. One tool appears to remove fears from people's lives and is purported to change the future as it approaches bringing harmony and pleasure as opposed to disharmony and displeasure. Another tool is supposed to remove offenses which are explained to be buried within the individual in some fashion causing resistance to the development of their potential. Another tool given is supposed to create an alignment for the individual which allows a circuitry of some type to be built. The information found in this book appears to cover the history of the planet, the history of the genetics, and the history of the human species. The information in the book is being used for workshops at an Ashram. The book does not give the identity of the individual the story is about but only tells his story. Guy recently stated publically for people not to read the book if they did not want to see behind our reality. No one seems to disagree with Guy when he says that everyone who reads this book is affected by it, that it changes them if they apply the knowledge to their lives.